Dulcolax Suppositories are used in hospitals to clear the bowel before surgery, X-rays or other tests. Normal and regular bowel movement is important for most people. However, what is “normal and regular” varies from person to person. Some may have a bowel movement every day, others less often. Whatever it is like for you, it is best that your bowel movement has a regular pattern. Whatever the cause, constipation is uncomfortable. It may make you feel bloated and heavy, or generally “off colour”. Sometimes it causes headaches. The suppositories should only be used in your back passage. Try to keep it in for 30 minutes, even if you feel like you urgently need to go to the toilet. 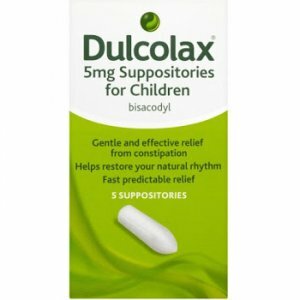 DULCOLAX 5 mg Suppositories for Children should only be used if recommended by a doctor. If you use more of this medicine than you should, talk to a doctor or go to a hospital straight away. Take the medicine pack with you. This is so the doctor knows what you have used. Please tell your pharmacist or doctor if you are taking or have recently taken any other medicines, including medicines obtained without a prescription. This includes herbal medicines. This is because Dulcolax Suppositories can affect the way some other medicines work. Also, some other medicines can affect the way Dulcolax Suppositories work. 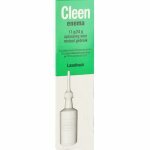 10 mg of the active ingredient bisacodyl.